Don't look at Them. Never let Them know you can see Them. That is Ethan Chase's unbreakable rule. 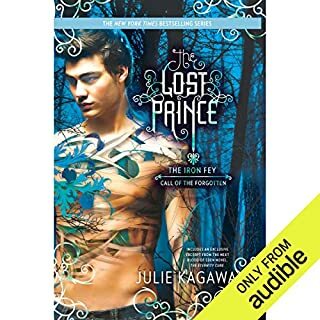 Until the fey he avoids at all costs - including his reputation - begin to disappear, and Ethan is attacked. Now he must change the rules to protect his family. To save a girl he never thought he'd dare to fall for. Ethan thought he had protected himself from his older sister's world - the land of Faery. 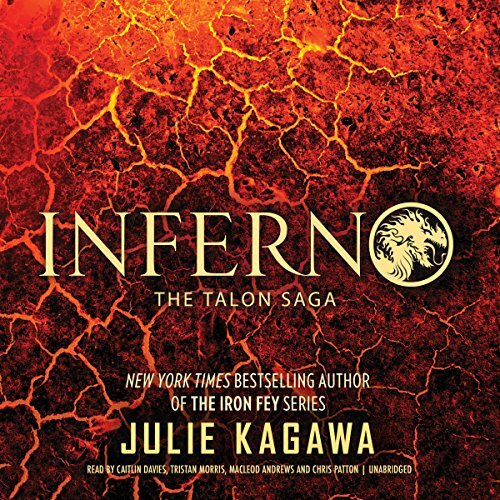 From the New York Times, USA Today, and international best-selling author of the Iron Fey and the Blood of Eden series comes the fiery, hugely anticipated finale of the Talon Saga. What if dragons walked among us in human form? 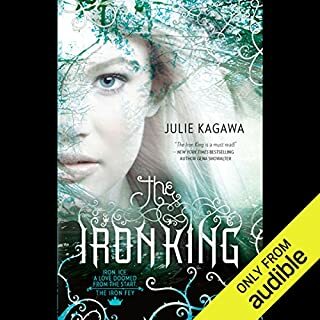 Enter a modern fantasy of heroes, sacrifice, forbidden love, and enemies turned allies who have no choice but to fight side by side. 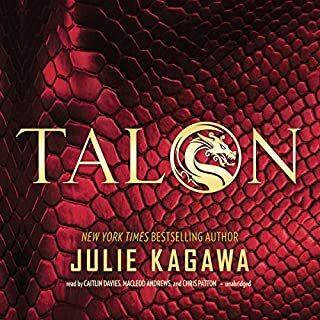 Don't miss the epic conclusion as Ember, Riley, and Garrett face off against Dante and the Talon dragon clones. Join them...or burn. 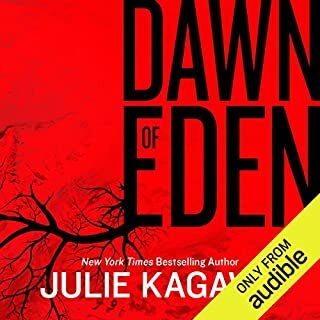 ©2018 Julie Kagawa (P)2018 Blackstone Audio, Inc.
All the books have been amazing. This one had a great ending. Hoping that there might be another book in the future. I can imagine there could be a continuance of the series. Really do love this series. Great story but less than stellar female narration. 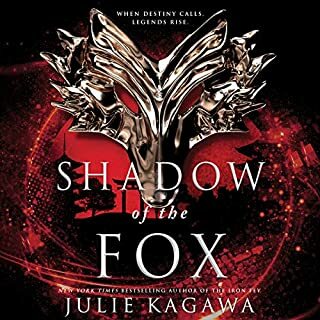 While I absolutely love Julie Kagawa’s books - this saga included; I am completely disappointed in the performance of Caitlin Davis. Her narration is bland and lifeless. Many times it seemed like she was awkward and unsure if her voice should have high pitch, low pitch, or what. Great performances by the guys though! I enjoyed this series very much, but I must say I noticed the “f bomb” used a lot in this last book. It seemed to be used in places it really didn’t go. I don’t remember it so much in the other books. Seemed a tad excessive. Ember was still the most annoying character of this book. She can make all these threats when people mess with her but wants to save everyone too. That dialog could have been left out completely. Also, her voice narrator was highly annoying as well. Every time she said the word ROOM made me cringe. three narrator's not reading there own parts 💯 of the time. it was very disappointing to have a part read by the wrong person when the author has the two or all three characters talking, but only that one taking. missed opportunity in the style of reading with three different narrations. This saga from book to book kept you wanting more. Even the last book, you wish the saga could continue. I love when an Author uses the same narrator throughout the series. The story feels much more cohesive. This book answered all of my questions, confirmed some of my thoughts and excited me all at the same time. 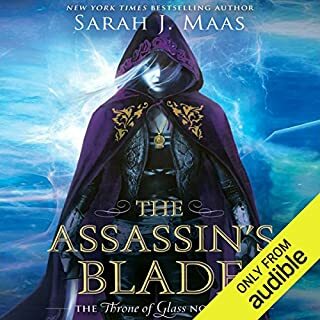 The final book in thia saga was magnificent, I really did not want it to end. I'm hoping that the writer will extend Garrett's story, always knew that him receiving Dragon Blood would change him. I hope that she finds it in herself to create a story for him. excellent story from start to finish. I was fully enwrapped with it. highly recommend it. a really enjoyable series and a great way to tie things up for the end of the series.